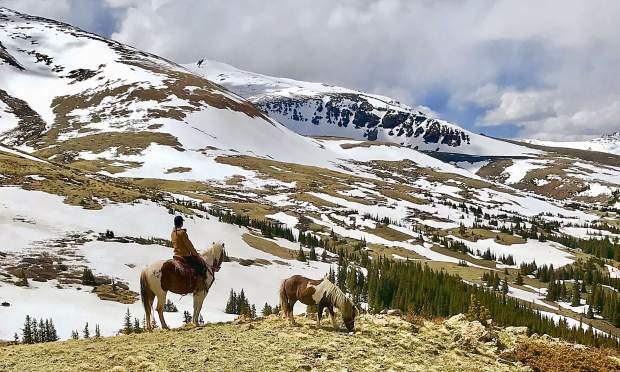 Betsy Paiement with Tabasco and Little Prince Charming looking over Hoosier Pass on June 2nd. 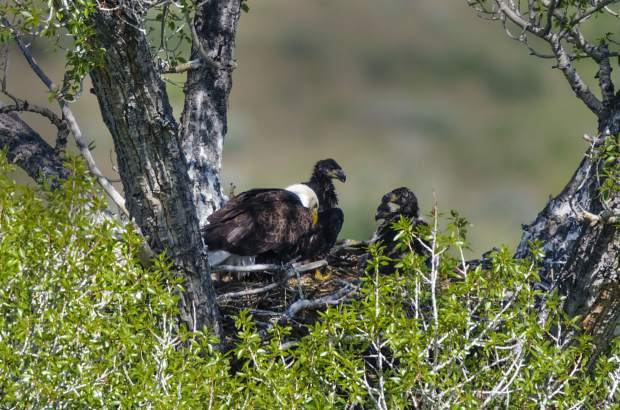 Bald Eagle and three eaglets in a nest in Heeney. 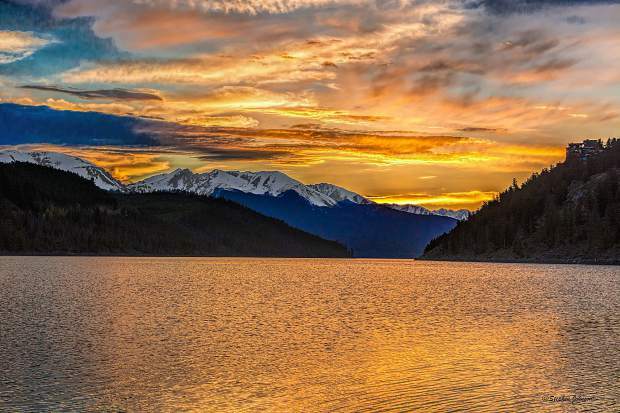 Sunset as seen from Summit Cove at Lake Dillon on June 5th. 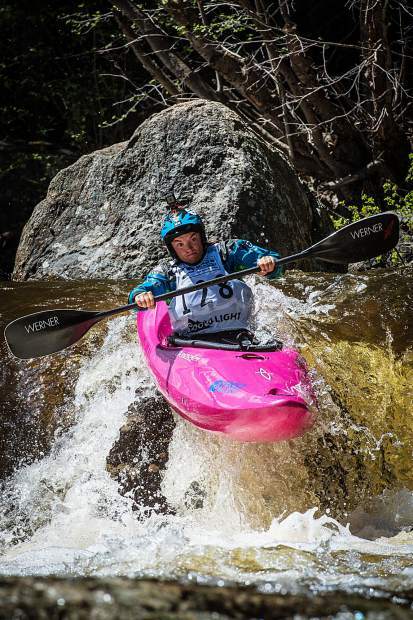 Kayaker Adrienne Levknecht participates in the GoPro Mountain Games, placing second in the women's division. Seen at WAVE festival last weekend in Breckenridge. 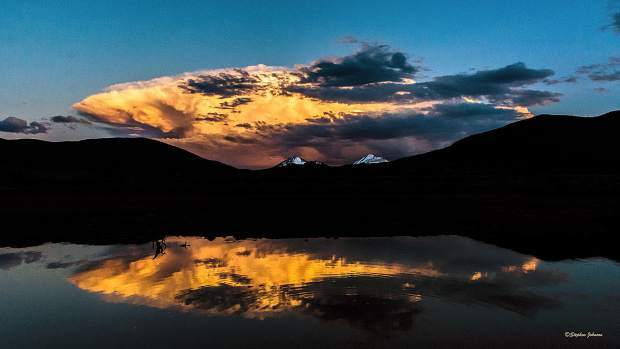 A sunset facing Guynot Mountain and Mount Baldy June 4.